Heinrich Koehler, together with its four sister companies on three continents, constitutes a worldwide network of stamp auctions of long-standing tradition, the "Global Philatelic Network". All the companies come under the holding company Koehler & Corinphila Holding GmbH, with its headquarters in Wiesbaden. 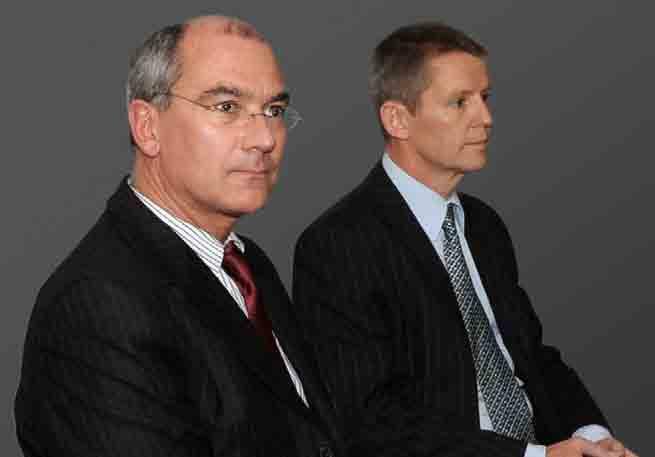 The families of the two long-serving CEO's Dieter Michelson and Karl Louis are, together with another private collector, the only three shareholders in the Koehler & Corinphila holding company. The group of stamp auction houses known as the Global Philatelic Network is globally active and well-known worldwide in philately with its companies of long-established tradition. The Wiesbaden-based stamp auction house of Heinrich Koehler is the oldest stamp auction house in Germany and was founded as long ago as 1913. Corinphila Auctions of Zurich is the oldest stamp auction house in Switzerland, founded in 1921, and has held stamp auctions since 1925. 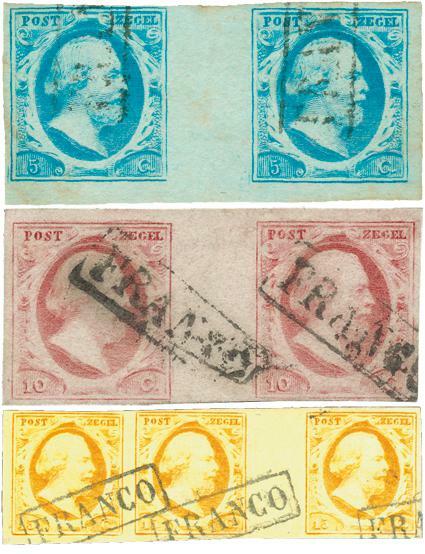 John Bull Auctions is the oldest stamp auction company in Hong Kong. H.R. Harmers was founded in 1940 in the U.S.A. and has auctioned the collection of the American President Franklin D. Roosevelt among others. The annual auction turnover of all the companies is between 25 and 30 million euros. Virtually all the companies have for many years been ranked among the leading companies in their respective home countries. As a group in an increasingly globalised market it is one of the three leading auction groups for the marketing of high-value collectors’ stamps and is well prepared for the future. The stamp auction house of Heinrich Koehler, the oldest stamp auction house in Germany, holds the current world record auction price for a German stamp amounting to approximately EUR 1.18 million (2.3 million German marks in 1985) for one of the most famous stamps of in Germany, the “Baden error of 1851”. 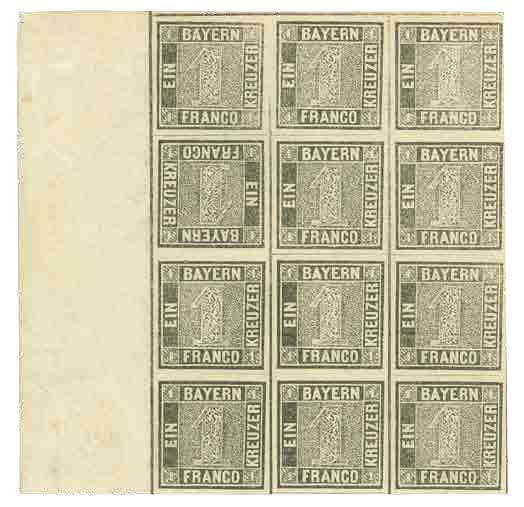 More recently, spectacular realizations were achieved at the auction of the collections of Fritz Kirchner, with a 320,000-euro hammer price for a block of twelve of the first postage stamp of Germany, the Bavaria ‘one kreuzer black’ of 1849. The rarity is that in this block a stamp was inadvertently printed upside-down on the sheet! Corinphila Auctions of Zürich, as the oldest stamp auction house in Switzerland with a branch in Amsterdam, has achieved spectacular results in Swiss Confederation as well as in Chinese philately. A cover of 1850 with eight copies of the 21⁄2 rappen “Winterthur” stamp was knocked down for 480,000 Swiss francs in 2009. A year earlier when Corinphila in Zurich had offered a block of 15 copies of the Chinese ‘red revenue’ issue of 1897 the bidding went from 30,000 to 640,000 Swiss francs. The Corinphila office in Amstelveen near Amsterdam achieved a spectacular record price in philately in 2010, when the first three stamps of the Netherlands of 1852 in ‘gutter pairs’ with extra wide spacing between the stamps changed hands at auction for 60,000 euros. H.R. Harmer in the U.S.A., in addition to the collection of the American President Franklin Delano Roosevelt, also sold the collections, which were world-renowned in philately, of the American industrialist Alfred F. Lichtenstein (CIBA President) and Alfred H. Caspary. With the Caspary collection H.R. Harmer sold one of the most famous items in United States philately, the ‘Eliza Dawson cover’ of 1851 franked with postage stamps of the United States as well as rare Hawaiian ‘missionary’ stamps, into the collection of the French tobacco industrialist Maurice Burrus. John Bull in Hong Kong was founded in 1977 and is today the oldest stamp auction house in Hong Kong. 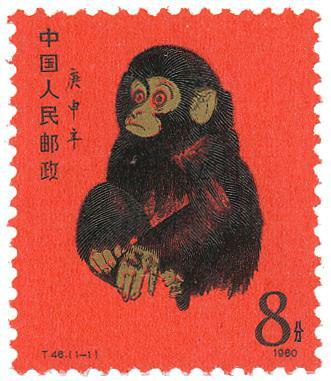 Most recently, John Bull made headlines when a special stamp issued in 1980 by the postal administration of the People’s Republic of China for the ‘year of the monkey’, the so-called ‘red monkey’ in a complete counter sheet of 80 copies found a new owner at a hammer price of 1.1 million Hong Kong dollars (approximately 110,000 euros). It is worth noting that when first issued in 1980 the ‘red monkey’ stamp cost the collector the counter sheet of 80 copies as much as 16 euros! The beautifully centered 3c and 10c special printing (soft paper) were hammered at Nutmeg, now H.R. Harmer in 2008 for respectively 135,000 and 90,000 dollar. A block of twelve copies of the ‘one kreuzer black’, the first German stamp of 1849, with one stamp inverted (second row, first stamp!) 320,000 euros hammer price at Heinrich Koehler in 2009. 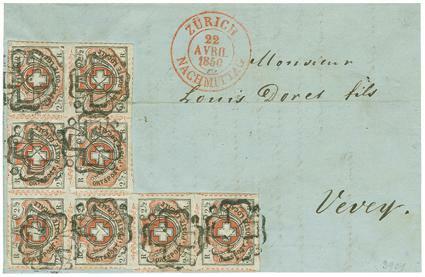 Eight stamps of the Swiss ‘Winterthur issue’ of 1850 on a letter; in 2009 this was auctioned by Corinphila Auctions in Zürich for 480,000 Swiss francs. The first postage stamps of the Netherlands from the year 1852 in rare “gutter pair" sold for 60.000 euros at Corinphila Veilingen in Amstelveen in 2010. 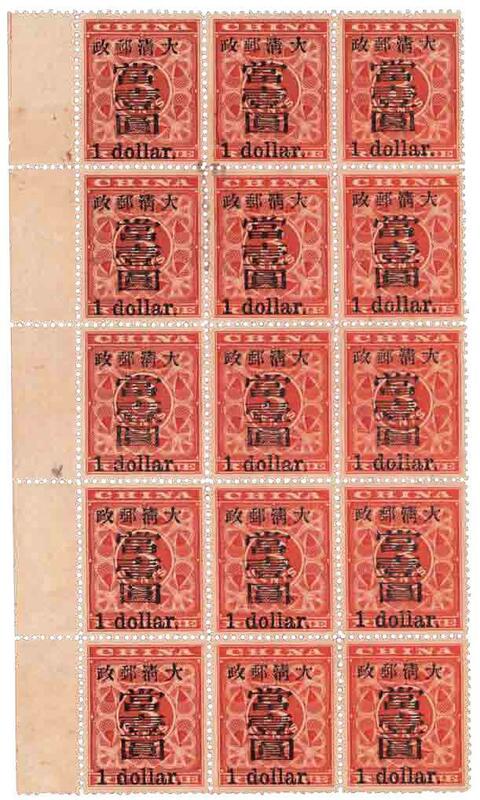 15 Chinese ‘red revenue’ stamps of 1897 were auctioned at Corinphila Auctions in Zürich in 2008 for a hammer price of 640,000 Swiss francs. The “red monkey” of China in a counter sheet of 80 copies made approximately 168,000 euros in 2016 at John Bull in Hong Kong. 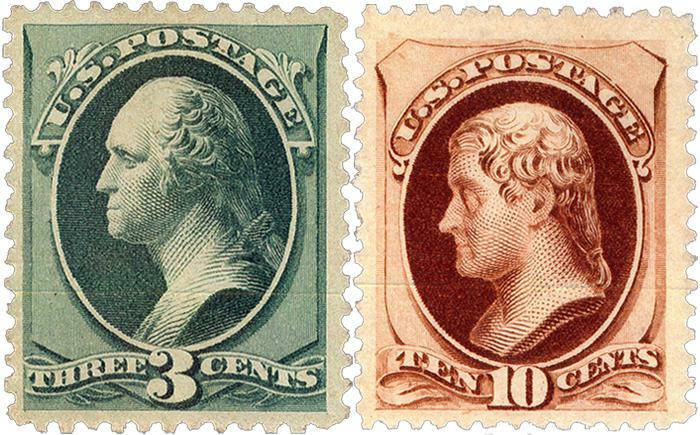 When first issued in 1980 collectors paid only 20 cents per stamp! The two managing directors and new partners Dieter Michelson and Karl Louis have worked for many years in philately and have close relationships with leading collectors and philatelic institutions. Dieter Michelson, born in Dublin, Ireland in 1960, has been active without interruption since 1982 in executive positions with companies in various fields of philately. In 1981 Michelson joined the newly-established stamp wholesaler Philagentur GmbH. A year later he took over the management at the age of 22 and led the company, through internal growth and the acquisition of competitors, to become a market-leading German distributor of the new issues of postal administrations from around the world. 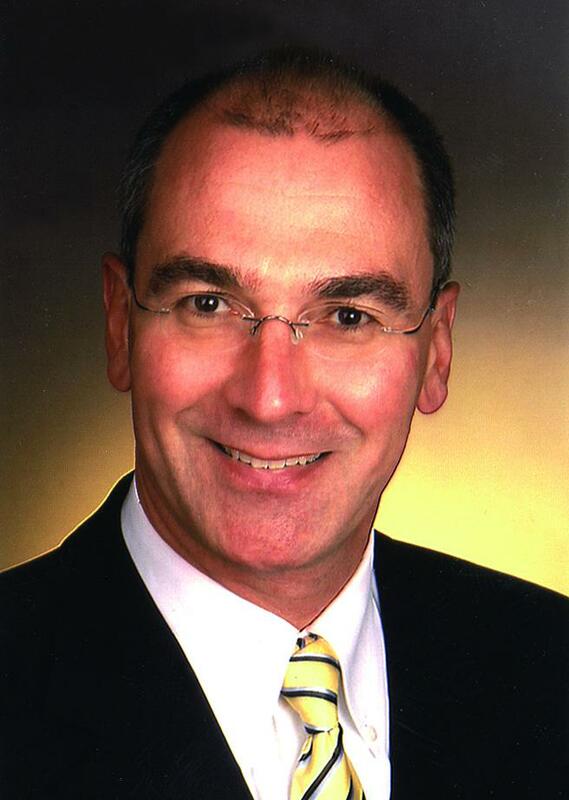 In 2002, Dieter Michelson in addition took over the management of the auction house of Heinrich Koehler in Wiesbaden. From 2009 Michelson was responsible for the stamp dealing part of the American ‘Spectrum Group International’ until the now completed acquisition. Dieter Michelson was for many years active on the boards of the German Stamp Dealers’ Association (APHV) and the International Federation of Stamp Dealers’ Associations (IFSDA). At the same time he was President of the Federal Association of German Stamp Auctioneers (BDB) from 2005 to 2008. Since 2009 Michelson has been a member of the Consilium Philatelicum, Bonn, an institution for the promotion of philately in Germany. Privately, Dieter Michelson collects “Irish postal history in the 19th century”, this being the postage stamps of Great Britain used in Ireland until 1900, as well as “hand illustrated classic letters of the 19th century”. Karl Louis, born in 1961, has been involved with philately since the early 1970s as a collector and exhibitor, and also since 1986 with some interruption as a professional philatelist. In 1986 he graduated in business administration from the University of Cologne with an economics thesis on ‘the postage stamp market’. From 1986 to 1991 he was a professional philatelist with Heinrich Koehler. From 1992 to 1998 he was Product Manager and Marketing Director of a major manufacturer of construction chemicals in the Dyckerhoff group. 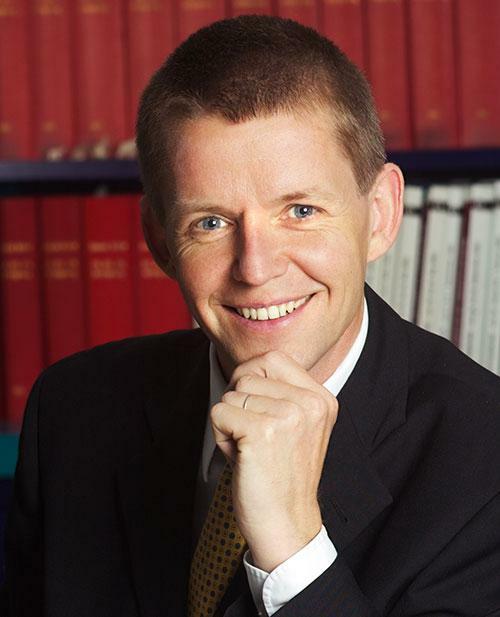 From 1999 to 2006 he was General Manager of a medium-sized construction chemical producer, and in 2006 he returned to the stamp business as Managing Director Heinrich Koehler. Since 1992 Karl Louis has been active as a philatelic certifier and expert in national and international institutions. As a collector of ‘the stamps of Great Britain during the reign of Queen Victoria 1840-1901’ Louis is the author or co-author of many articles, as well as handbooks and catalogues on the philately of Great Britain and Switzerland. In 2006 he was awarded the Tapling Medal by the Royal Philatelic Society in London for a specialist publication.